What Makes Glass More Energy Efficient? 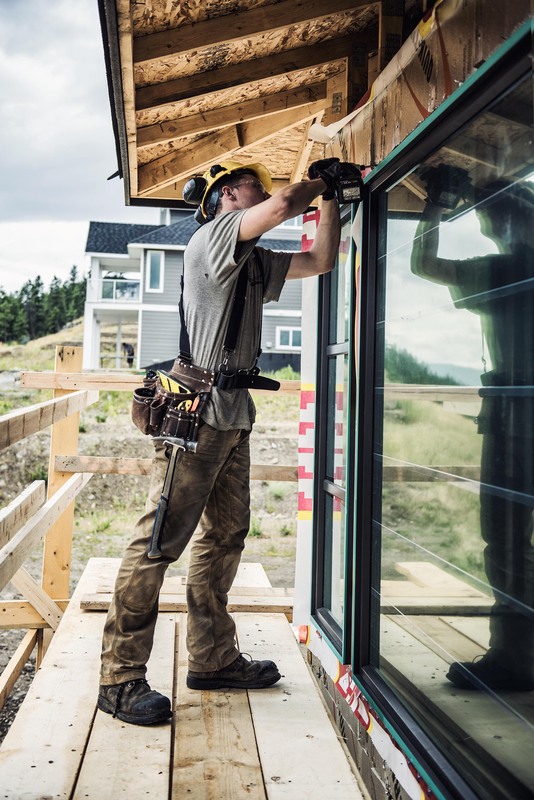 The window featured in the ‘Home of Today’ incorporates PlyGem’s Vista Series white vinyl sliding windows with a double-glazed sealed unit and Cardinal Eco Grain 180 low-E coating, a readily used window design provided by PlyGem for homes in the Okanagan. The window featured in the ‘Home of Tomorrow’ is PlyGem’s Design Series window, which is a vinyl window with a metal-clad exterior. This package incorporates a casement, crank-out type of window, triple glazed, with double Cardinal Eco Max 366 low-E coating. This is a more advanced window that will certainly improve the homes efficiency. PlyGem hopes to identify the cost savings on glass improvement by using today’s standard low-E coating (double glazing c/w single low-E coating) versus triple glazing c/w dual low-E coating. This information will help future home-building customers make informed decisions on the glass used in their new home.